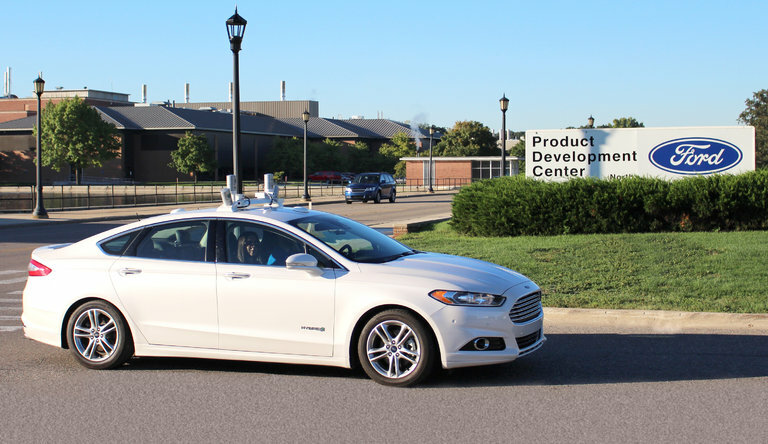 A self-driving car at Ford’s campus in Dearborn, Mich. It uses radar and lidar, a kind of radar using laser beams, to identify obstacles. DEARBORN, Mich. — Ford does not know what caused the fatal May accident in which the driver of a Tesla Model S sedan, operating in Autopilot mode, crashed into a tractor-trailer crossing a roadway in Florida. But they have given considerable thought to the circumstances — a truck turning left into traffic and a partially automated vehicle traveling at highway speed, leaving little room for miscalculation. He has pictured the car’s camera looking ahead and struggling to make out a white truck against an overcast sky, its forward-looking radar beam possibly shooting under the truck’s trailer. The conclusion he has drawn: The current state of even semi autonomous driving technology isn’t quite ready to take on such a complex traffic situation. That is why Ford, which on Monday demonstrated its own approach to self-driving vehicles, said it was convinced by its decade of research to take a go-slow approach. And so the automaker plans to introduce self-driving cars in a controlled urban environment within five years, capable of functioning as robotic taxis at slow, stop-and-go speeds in settings with traffic-light predictability. The company provided the first public demonstration of the fleet of self-driving cars it is building at its sprawling engineering campus here, about 10 miles west of Detroit. Ford allowed reporters, analysts and other guests to take a ride in some of the 10 white Fusion sedans it has outfitted so far with tens of thousands of dollars’ worth of radar; lidar, a kind of radar based on laser beams; cameras; computer chips and other gear. 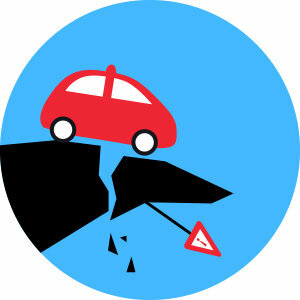 The demonstration came a day after Tesla outlined upgrades to Autopilot that he said he believed would probably have prevented the fatal crash of the Model S. These included a more precise use of radar to identify obstacles, and a move to make radar the primary means of scanning the road. The cameras in Tesla cars had previously served that role. But before cars can take over most of the driving for humans, more is needed, such as lidar and high-definition digital maps that will help automated cars distinguish between overhead signs and an obstacle such as a tractor-trailer. Neither of those technologies are available with Tesla’s system. During Monday’s demonstrations, while Ford engineers sat in the driver’s seat with hands off the steering wheel and feet off the pedals, the cars piloted themselves over a short, 10-minute loop, stopping when necessary for pedestrians, stop lights and intersections. During this reporter’s demonstration ride, the Fusion came to a stop at a crosswalk. After a group of pedestrians had passed, the car began to edge forward but then hit its brakes again. Well off to the left, perhaps 10 feet from the crosswalk, a straggler was hurrying to catch up to the group. The car’s lidar had spotted the man and the car sensed he was likely to dart into the road — and he did. “That’s the benefit of lidar,” said a Ford engineer. Since radar looks forward, it might not notice a potential obstacle like a pedestrian entering from the side. But lidar scans across a wide field of vision, and is capable of picking up key details of an object, not just its shape. “Lidar can make out the fingers on a pedestrian’s hand,” he said. Google, too, is incorporating lidar into its self-driving cars. The Ford cars used in the demonstration were outfitted with bulky lidar systems mounted on their roofs. Within about a month, though, the company plans to assemble self-driving Fusions with two lidar units that will be slightly larger than hockey pucks. Ford expects its experimental fleet of self-driving cars to grow to 30 by the end of the year, and it expects to have three times that number by the end of 2017. Uber is developing its own self-driving cars and is starting a pilot project this week in Pittsburgh in which the vehicles will pick up real passengers, with an engineer in the front seat in case something goes wrong. Those cars are also Fusions — though ones that Ford Motor has played no part in turning into self-driving cars.